Members of the Florida-Caribbean Cruise Association’s (FCCA) Security Operations Committee have inspected the facilities at Banana Coast, Honduras’ first mainland cruise port. Paige commended the port for its diverse tour programme and fully equipped port facilities, which comply with the Americans with Disabilities Act and offer restaurants and bars, beach access and designated areas for taxis and tour vehicles. Located in the city of Trujillo, which was founded in 1525, the US$30 million Banana Coast project has been coordinated by Grande Trujillo Authoridad, Desarollos Vision de Vida and Miami-based Global Destinations Development. As part of the project, architecture company OBM International designed a two-berth, post-Panamax dock, a 50,000 sq ft shopping facility and transportation facility on ten acres of beachfront land. Passengers will be offered a range of shorex options, including the signature Campo del Mar Nature Park and Beach Break trip, airplane rides to the Mayan ruins at Copan, snorkelling at a starfish bank, and kayaking in Guaimoreto Lagoon. 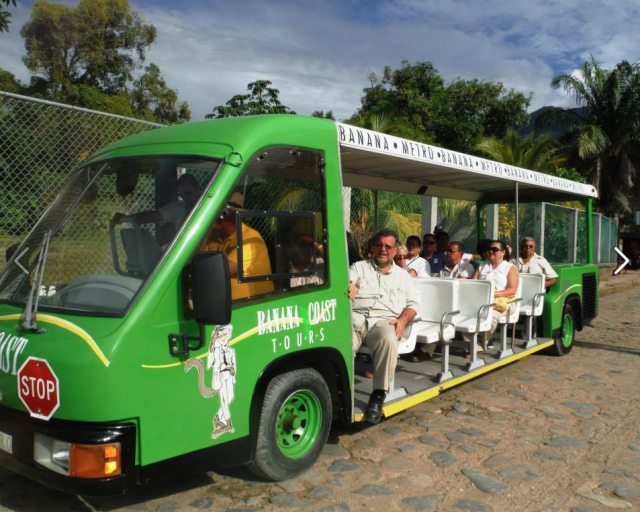 Guests can also enjoy a mountain ATV ride, a culinary tasting tour, or journey through the colonial town of Trujillo. The port is set to receive its first cruise call on 19 November 2014 with the arrival of HAL’s 1,260-passenger Ryndam, which will make 11 calls during the 2014-2015 season. Ryndam’s inaugural visit will be followed by a call from Silversea Cruises’ Silversea Cloud on 17 December 2014 and Oceania Cruises’ Riveria in 2015.